Birthplace : Indiana, Pennsylvania, U.S.
Edward Abbey was an American author and essayist noted for his advocacy of environmental issues and criticism of public land policies. His best-known works include the novel The Monkey Wrench Gang, which has been cited as an inspiration by radical environmental groups, and the non-fiction work Desert Solitaire. Writer Larry McMurtry referred to Abbey as the "Thoreau of the American West". 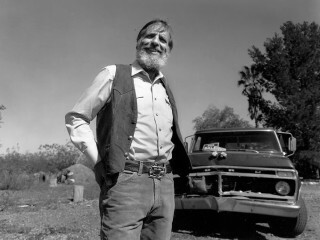 View the full website biography of Edward Abbey.